Add a touch of flapper girl sass to your attire with this stunning Silver Pearl Art Deco Headband. An straightforward solution to jazz up your look, this pretty pearl headpiece creates a faultless finish to rival any hat or fascinator at a wedding. Elegantly understated, this teardrop pearl hairband embodies beautiful 1920s charm yet works well paired with both the latest cutting edge look as well as that 20s drop-waist number. 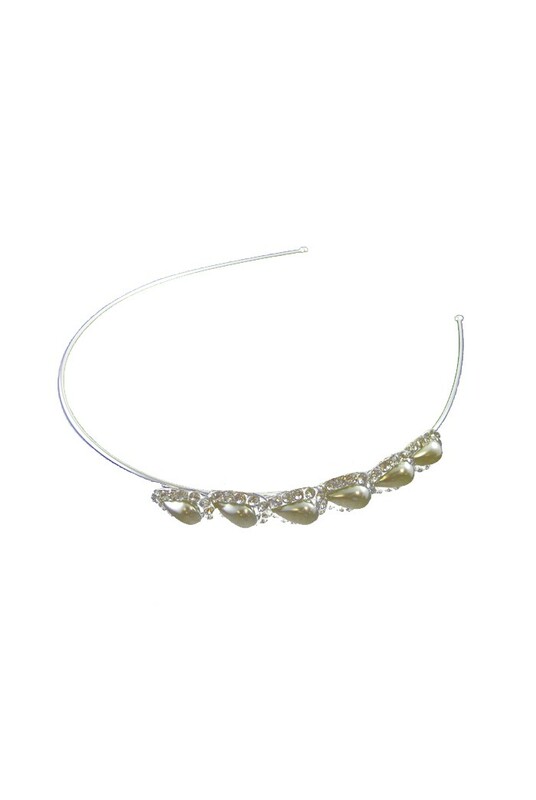 This Silver flapper headband features a teardrop pearl and crystal design which is set to one side. The embellishment measures 10cm by 2cm.